What were you doing for fun when you were 8-years-old? Happiness experts say that we can find clues to what brings us true joy if we, as adults, can find ways to do more of what we were doing naturally, freely, without pressure when we were about eight. When I was eight, I was constructing art centers for my dolls and action figures out of encyclopedias. It was my favorite play-time activity as a kid, and I always dreamed of creating a center for artists, but as I grew up, I realized what was involved, and it became more and more intimidating. I tried a variety of ways to escape my dream over the years, as I saw that the road ahead would be long and hard before any dreams were attained. But in stepping out, in taking those first risky steps on the belief that an organization for artists could be grown from the ground up in our current economy, I was lucky to be joined by several dreamers and fellow risk-takers. What were you dreaming of when you were a kid? Were you dancing? Painting? Did you visit the moon? As we get older, there are more and more voices that tell us to give up on those “silly” dreams. At abrasiveMedia, we wholeheartedly believe that all people need creativity and play. Whether you are lucky enough to work in the arts full-time, or if you create as a hobby or side-project, or even if you just enjoy the creations of others — all interaction with the arts (and big dreams) is important. Living your dreams can give people inspiration, hope, and joy. That doesn’t mean it’s easy. But it does mean that it is worth it. We began abrasiveMedia with exactly zero dollars, and a bunch of people who were willing to work to make dreams happen. We’re by no means done with the long road of growing something from nothing, but we are so much farther into our process, and it’s all because of people like you. But, this is still our side-gig. We don’t have the funds to pay anyone full-time yet. That’s one of our biggest dreams; that we would grow to the point we can pay people to create full-time, not just sometimes. Artists weren’t the only ones to join us. We’ve received financial and in kind support from over one hundred individuals, as well as several companies, foundations, and other grant institutions. And we could not have reached a single one of the 6500+ people who saw abrasiveMedia and our resident artists and programs in action last year without that support. People like YOU, who put your money where your belief is, and we are so lucky to have you. We have many more big ideas to test and try. Ideas like Project:Awake (not your traditional awareness program) which has struggled to find funding, but is gaining traction this year. Ideas like facilitating an experimental music community. Growing our class program to encompass a variety of artistic genres. We are entering our fundraising season. I know that you have many choices of places to give in this city; many worthy causes deserving of support. We hope that you continue to believe that abrasiveMedia is one of those worthy causes! abrasiveMedia is founded as a small artists’ collective. 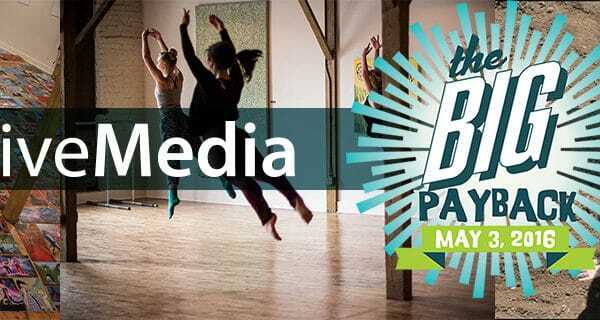 Spread the word about the #BigPayback! Yes, I want to pledge! Will you share your stories with us, of the big ideas you’ve made happen, and the ones you still have on your bucket list? YOU are part of abrasiveMedia, and we want to honor the stories in our community! Thank you again for all you have done to ensure that we can continue on our mission to help artists grow, connect, produce, and give back. P.S. Prefer to give with cash or check? No problem! You can drop your donation off at abrasiveMedia before Tuesday. Can’t make it to aM? Let us know you’d like to give, and we’ll come pick it up. Email audra @ abrasivemedia.org or call us at 615.331.3131.